What are the team behind Dorvics all about..? Dorvics Cycles is the true local bike shop for Leighton Buzzard. We’re in Bridge Street, in a building where bikes have been sold continuously for more than 80 years. We believe we’re the oldest bike shop still operating in Bedfordshire, and – as far as we know – in the surrounding counties of Buckinghamshire, Cambridgeshire, Hertfordshire and Northamptonshire, too! Dorvics was taken over by new management at the end of 2016, and we’re committed to giving the Leighton Buzzard cycling community a shop to be proud of. With a blend of online convenience, local service and decades of expertise, we can help you with all of your cycling needs, from first bikes to kids through to servicing for high-spec road bikes. At our store, you can check out samples of all of our bikes, and get advice on which is the best bike for you. 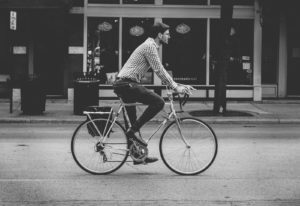 Once you’ve ordered with us, your bike will be delivered to our store where our expert team will complete the build, give it a rigorous safety check and fit your accessories. So when you arrive to collect, you can receive a bike that’s ready to ride home! Some people say he was mad to invest in a bike shop when so many are closing down across the country as internet sales take over. 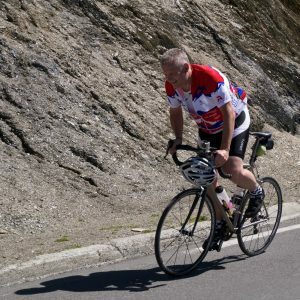 But Leighton Buzzard has got to be the most cycling centric town for miles around: the culture is here, the passion is here, and the cycling clubs need their own local bike shop. Initial support is proving that Ashley is not that mad! 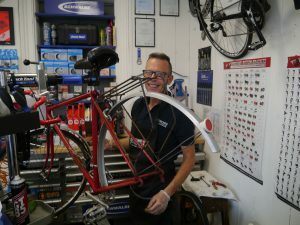 Always smiling and happy, no matter how challenging the task is, Tim has loads of experience maintaining a wide variety of bikes for a large bike retailer. Now with us, he’s adding even more expertise to the gang. 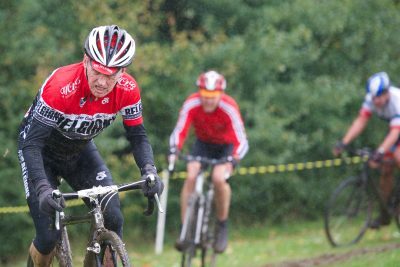 Founder of the Leighton Buzzard Road Cycling Club and seasoned Road, Cyclocross and MTB Racer. Now getting his hands dirty at Dorvics bringing years of experience to the team.